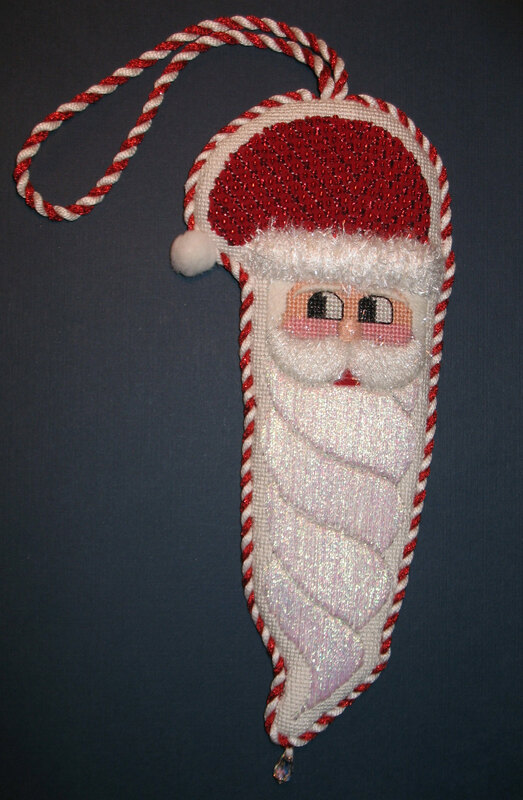 Santa is back from the Fireside Stitchery finisher. I’m so ho, ho, ho, happy with it! As it turns out, I picked him up exactly 6 months before Christmas. I have to leave him out for a little while & enjoy it. I’m so glad Kelly suggested I add a few rows of white around the edge. And the back is great too. Whenever I go to see Santa at the mall, I always look at his beard – to me that makes all the difference. It’s got to be white & full just like this one! 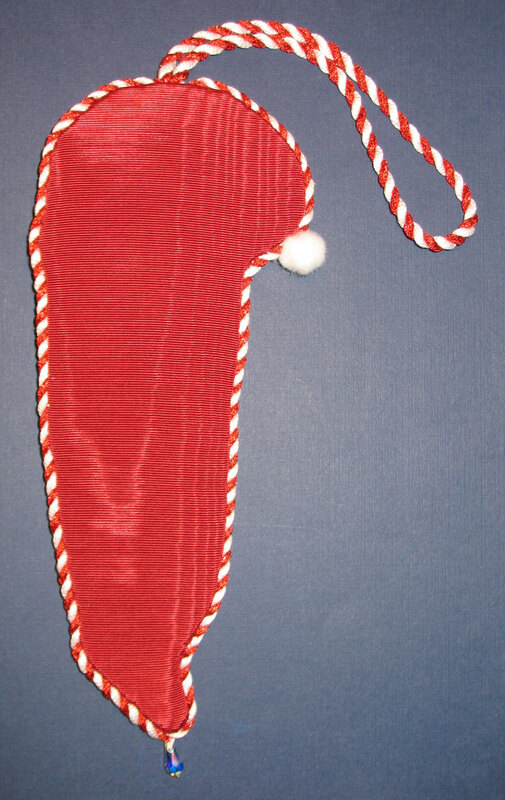 I wonder if my finishing Santa’s beard this tonight is causing the upcoming snow event? 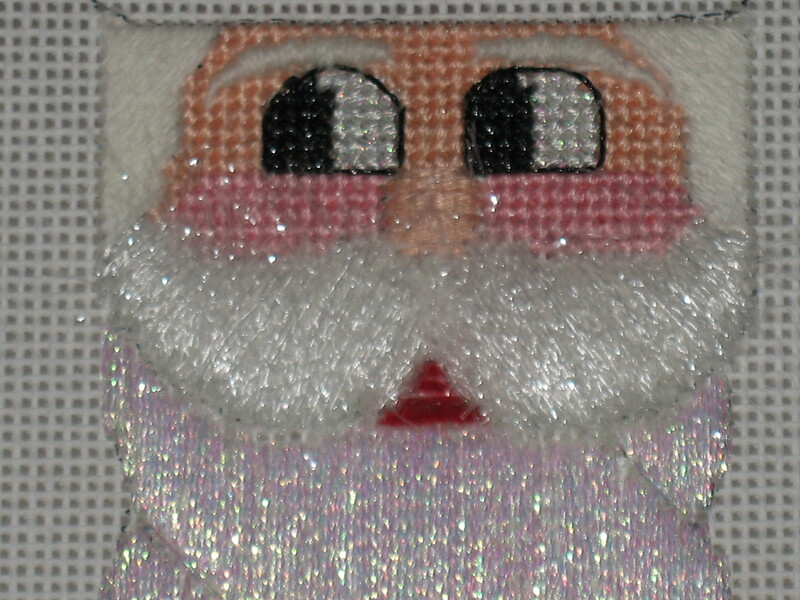 I took the Metallic Ribbon Floss, stripped 2 thin strands, layed, & couched them between the segments of the beard. Perhaps I pulled too tight but I could see holes and/or some of the sketch & they are covered up now.